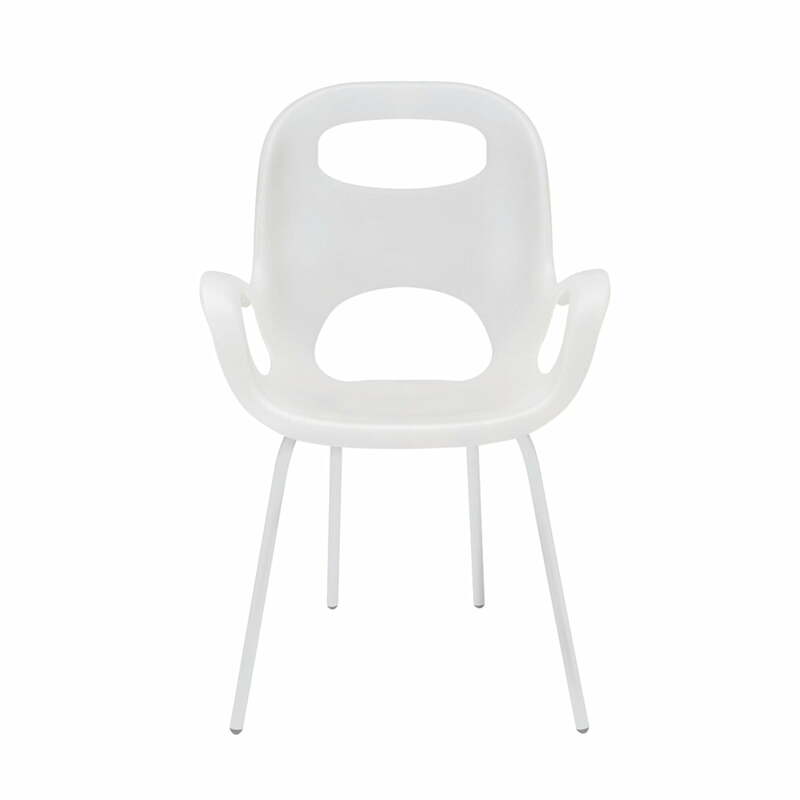 In addition to the Garbo-Can, the Oh Chair from Umbra is one of the best selling products of the designer Karim Rashid. The native Egyptian designed the chair for the Canadian manufacturer Umbra already in 1999. The soft shapes and bright colours, are characteristic of Rashid Oh, giving the Oh Chair a friendly appearance and immediately putting a smile on each viewer’s face. The Umbra Oh Chair is a sturdy and yet flexible stacking chair. Its seat is made of polypropylene, the under frame is made of powder-coated steel, making the chair perfect for spontaneous visitors. Several of the chairs allow to be stowed by stacking them in a convenient space saving way.